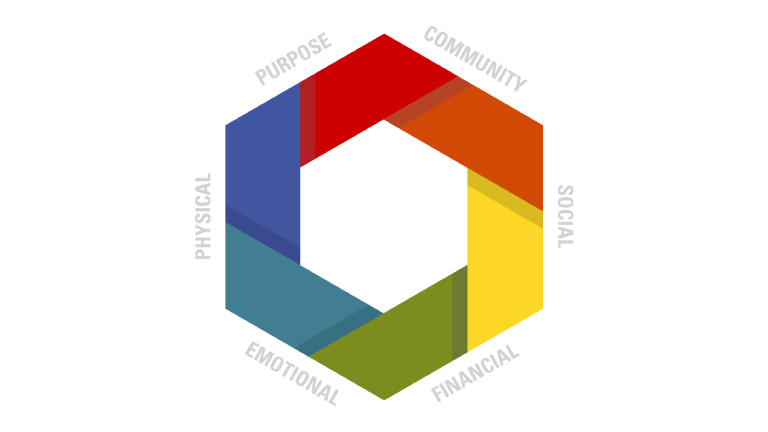 Our goal is to ‘Build a Thriving Pack’ by assisting NC State faculty and staff in achieving healthy lifestyle goals by providing programs and/or services that address the six elements of Wellness. The Wolfpack Wellness Power Lunch Series is a monthly Lunch and Learn series designed to promote Staff and Faculty well-being. Staff and Faculty have the opportunity to learn about different wellness topics, derived from chronic conditions and issues that employees at NC State face every day. This series is also an opportunity to network with your co-workers and enjoy a healthy lunch. Wolfpack Wellness Power Lunch Series sessions are held on the second Wednesday of each month from 12:30-1:30 pm across campus. Seats are limited so registration is required. NC State Employee Wellness Champions are university staff and faculty who have a special interest in facilitating an innovative culture and environment of wellness in their college, unit, or department. NC State Employee Wellness Champions volunteer to promote university-wide wellness initiatives in their departments by communicating health and wellness activities to their colleagues, encouraging and motivating staff and faculty participation, planning and conducting wellness activities, and working collaboratively to promote health and wellness in their units. 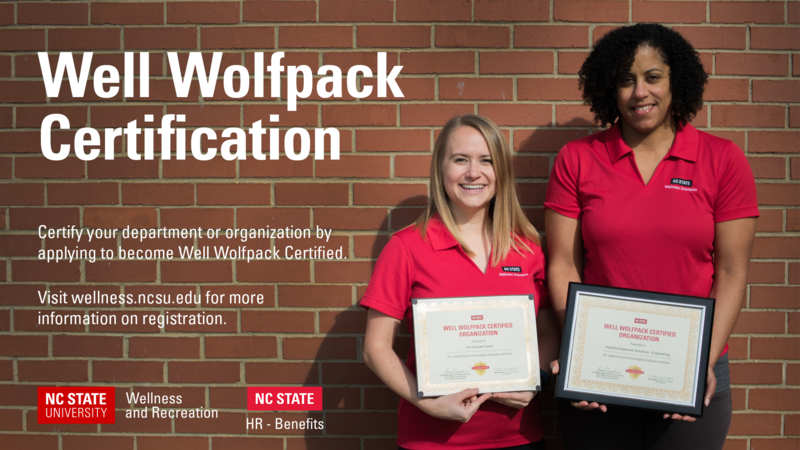 The Well Wolfpack Certification annually distinguishes departments who have made a commitment to cultivating a culture of wellness in the workplace. If your unit supports and encourages staff and faculty health and wellness, apply to be recognized as a Well Wolfpack Certified Organization. 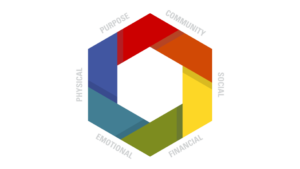 Certify your organization by completing the Well Wolfpack Certified Organizations Online Form. To unsubscribe from the wolfperksinfo mailing list send this one-line e-mail.